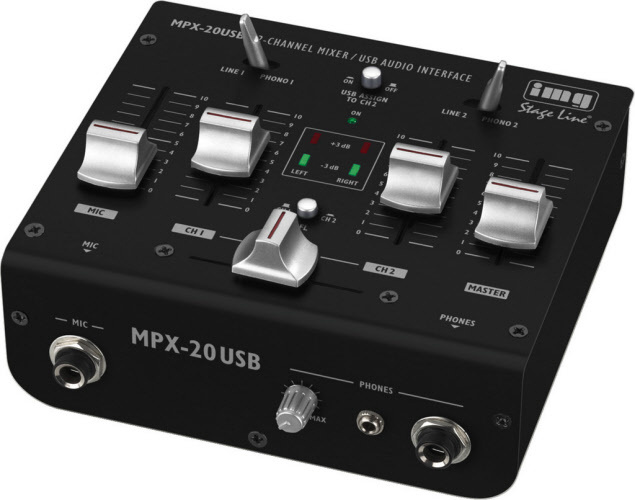 "The MPX-20USB from IMG Stage Line is a respectable mixer for two channels plus microphone which combines all the important features at a compact size. Great for DJs who concentrate on the essentials. Also suitable for anyone requiring a reliable second unit ... As a little bonus, there are in fact two headphone jacks. 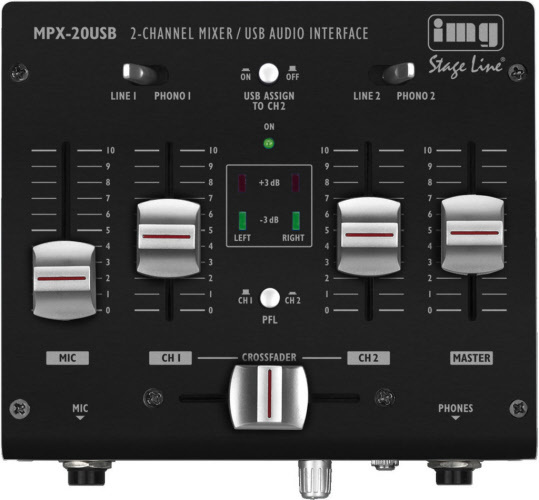 This space-saving mixer is able to crossfade two audio signals and well suited for home applications."